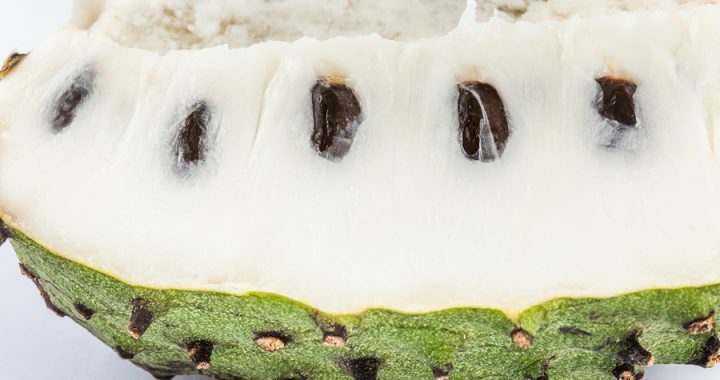 In this video our very own Andy Walker show you how to cut soursop fruit when it is ripe, and how to determine ripeness, based on the feel of the fruit. Walker says that a soursop fruit, also called graviola fruit, is at optimum ripeness when the green spiny skin on the fruit is soft can can be penetrated by a push of the finger. The juice from the pulp will be evidence when you do this. He also explains how to know when a soursop fruit has gone bad or is so overripe it is no longer ideal to eat. If you want to know more about the soursop tree, the conditions it grows under and some interesting facts about its cultivation and use, read this post. It said that the soursop tree is said to have originated in South America and the Caribbean islands known as the West Indies. Among all of the Annona species, soursop is the most tropical.. It is the best choice for preserving and processing activities. The tree also produces the largest fruit. It has low-branches and it is shrubby. It reaches a height of approximately 8 to 10 meters (25 to 30 ft). The seeds found in the pulp of the soursop fruit and the soursop leaves have properties that are toxic to some insects. When crushed, they are are effective against head lice, southern armyworms, and pea aphids. The fruit is also used in fish traps for bait. The soursop wood could also have potential as a source for making paper pulp. It is used to make ox yokes, because it does not cause hair loss on the neck of oxen. Elevation: Soursop is grow from sea-level to 1200 meters (3500 ft). Germination: It can be direct-seeded or soaked for 24 hours. It will germinate in 15 to 30 days. Soil: The soursop tree prefers rich, well-drained soil. However it can be grown in acidic and sandy soil. Temperature: The soursop tree is very cold-sensitive and will suffer injury in a light frost. The tree thrives in tropical climate and temperatures. Propagation: Soursop is often propagated by seed. It will produce fruit in 3 to 5 years. It requires plenty of sun and cannot withstand strong winds. Soursop trees took a beating in the Virgin Islands when they were hit by hurricanes in 2017. Grafting: When choosing a grafting strategy, it is best to use soursop seedlings. However, grafting onto custard apple, mountain soursop, or pond apple is known to be successful. Soursop tree flowers continuously, but in each growing region, there is one principal harvest period. Soursop fruit is picked when it is fully grown and while it is still firm, but slightly yellow-green. If the fruit is allowed to soften on the tree, it will fall to the ground and be ruined. The soursop bears 12 to 20 units of fruit per tree. Soursop tree is attacked by a variety of pests, that vary by region where it grows. Mealybugs may occur enmass on the fruit, while scale and lacewings infest the tree. The fruit is attacked by fruit flies. Red spider mites are a problem in dry climates. Defoliator caterpillars can be a problem on soursop trees. Also be alert for anthracnose disease on the fruit. Soursop fruit is classified as sweet, sub-acid, or acid. The fruit is best eaten 5 to 6 days post harvest. Cut the fruit into sections and eat the flesh with a spoon or off the rind. It can be added to fruit salad. It can also be served with sugar and milk. The most common use for the fruit in the tropics, however, is as a blended drink. Remove the seeds from the pulp. Beaten with milk or water. Sweeten with sugar to tastes. Remove all seeds before blending the pulp as they are toxic and should not be eaten in any quantity. Blend the seeded pulp with an equal amount of boiling water. A soursop custard is made in the Dominican Republic as follows: Cook soursop pulp in a sugar syrup with cinnamon and lemon peel. Mash the pulp in water. Let it stand, then strain to remove fibers and seeds. Blend the liquid with sweetened condensed milk. Pour it into ice cube trays. Stir several times while it freezes. Immature soursop fruit can also be roasted, fried, cooked as vegetables, or used in soup. 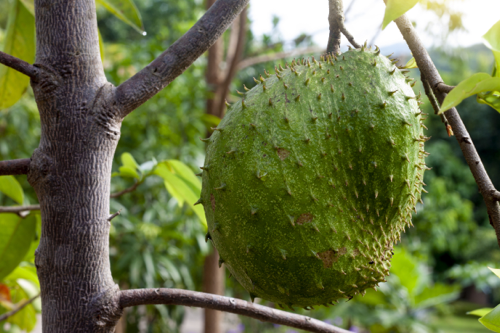 If natural medicine Leslie Taylor is right, soursop — or graviola, as some call it — is a miracle herb that all cancer patients should be consuming as part of their plan to get well. 2-4 ml 3 times daily. Note: A tincture is a liquid extract of an herb that you take by mouth. It is a liquid concentration of the useful chemical constituents and medicinal properties of a plant. The liquid is usually alcohol, vegetable glycerin, or even apple cider vinegar. Learn more about how to make a tincture here. The research on soursop/graviola has been focused on a plant chemicals called Annonaceous acetogenins. These natural compounds can be found in sourop’s leaves and stems. It is also present in its bark, fruit, and seeds. Taylor explained that four studies published in 1998 specified the chemicals and acetogenins in soursop / graviola have the strongest anti-cancerous, anti-tumor and anti-viral capabilities. This explains why the acetogenins are toxic for cancer cells, but they are not toxic for healthy cells. If you are familiar with soursop research then you may have heard about a laboratory research study conducted at Purdue University, in West Lafayette, Indiana. A lot of this research was funded by The National Cancer Institute and the National Institute of Health (NIH). Purdue University and its researchers have filed at least nine U.S. and/or international patents on their work around the anti-tumor and insecticidal properties and the related uses of the acetogenins they studied. Here is how that works: Cancer cells that are not killed by chemotherapy drugs can become resistant to the the anti-cancer agent. This process is called multi-drug resistance. Cancer cells can create a pump within their walls that pushes anti-cancer drugs out of the cell. They stops them from being killed by these agents. Only a small percentage of cancer cells in any given individual (approximately 2%) may develop this defence mechanism. But they can replicate and become multi-drug-resistant tumors. Research on acetogenins reported that the compounds were able to disable these intercellular pumps. This killed multi-drug-resistant tumors. The researchers at Purdue researchers said that the acetogenins block the transfer of ATP, which is where a cell gets its energy from. Starve them of an energy source and cancer cells will not grow or reproduce. They cannot run their pumps and defend themselves. Sothe result is that they eventually die. Normal cells rarely develop this kind of internal pump. They don’t require a lot of energy as a consequence. Therefore they are not impacted by ATP inhibitor compounds. Purdue scientists said that 14 different acetogenins show effective ATP-blocking properties (several of these are found only in soursop). The scientists also revealed that 13 of the 14 acetogenins tested were more potent against MDR breast cancer cells than all three of the standard drugs (adriamycin, vincristine, and vinblastine) used as controls. Will extracts from soursop follow the same drug development path as Taxol? With graviola, it has taken researchers almost 10 years to successfully synthesize (chemically reproduce) the main antitumorous chemical, annonacin. These acetogenin chemicals have a unique waxy center and other unique molecular energy properties which thwarted earlier attempts, and at least one major pharmaceutical company gave up in the process (despite knowing how active the natural chemical was against tumors). Now that scientists have the ability to recreate this chemical and several other active acetogenins in the laboratory, the next step is to change the chemical just enough (without losing any of the antitumorous actions in the process) to become a novel chemical which can be patented and turned into a new patented cancer drug. (Naturally-occurring plant chemicals cannot be patented.) 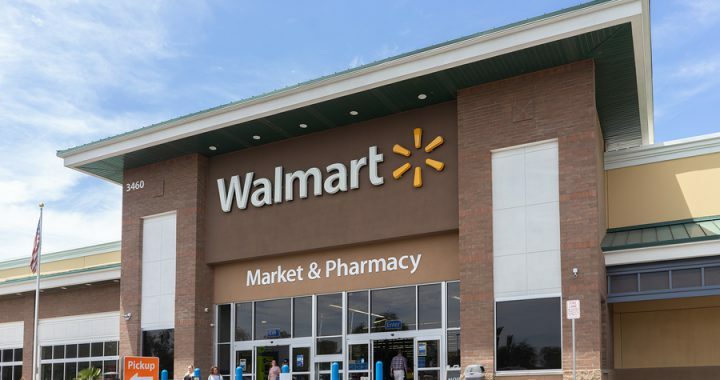 Thus far, scientists seem to be thwarted again—every time they change the chemical enough to be patentable, they lose much of the antitumorous actions. Like the development of taxol, it may well take government agenies like the National Cancer Institute and the National Institute of Health to step forward and launch full-scale human cancer research on the synthesized unpatentable natural plant chemical (which will allow any pharmaceutical company to develop a cancer drug utilizing the research as happened with taxol) to be able to make this promising therapy available to cancer patients in a timely fashion. Soursop, a tropical fruit and the evergreen tree that bears it, is a seemingly magical natural food that has a myriad of health benefits. Here are 15 soursop health benefits you should know about. 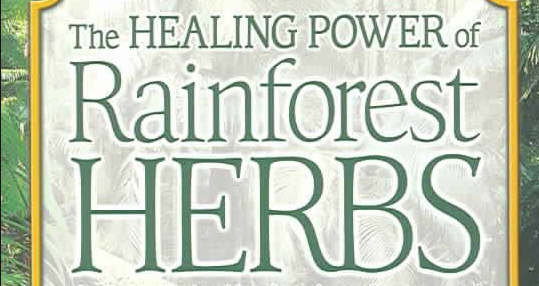 A phytochemical in soursop fruit, bark and leaves, has been shown to be toxic to cancer cells. The results come from one laboratory study, however many studies since show soursop may be effective in preventing the development of tumors and reducing tumor size. Many people claim soursop is a cure for cancer. Such claims have not been substantiated by research studies on humans but the lab studies that have been done do show substantive evidence. These studies are expensive and studying a natural product has no payoff for a funding body, except for the common good. So such a study would need to be backed by a philanthropist or the government. If you have heard that soursop cures cancer, that is because it has been consumed by generations of people who have access to it in tropical regions of the world. Soursop fruit contains high levels of antioxidants, which help reduce oxidative load in the body. It contains vitamin A, vitamin C, vitamin E, zinc and natural carotenoid compounds. These preserve the health of your eyes and help ensure healthy vision. This also helps thwart macular degeneration, cataract development, and promote optimal eye function. Soursop fruit has been used for centuries in traditional African medicine to treat neuralgia, rheumatism and arthritic pain. In a 2014 study on mice, the active ingredient in soursop showed significant effects on reducing inflammation. Both the soursop fruit and soursop tea leaves contain high antioxidant content, a key for fighting inflammation in the body. As one of the major precursors of many types of disease, one cup of soursop tea is a powerful preventive measure for reducing the inflammation that leads to serious ailments. Research has shown that mice who consumed soursop had significantly lower blood sugar levels than their control group counterparts. This is likely due to an active ingredient in soursop fruit and its tea derivative that stops the dysfunctional breakdown in the body where carbohydrates are converted to glucose. In addition, it’s been shown that soursop tea may reduce the effect of oxidative stress which causes damage to the livers of my diabetes sufferers. For Type l diabetics, soursop may support the pancreas to produce new insulin producing cells. Due to its antioxidant and anti-inflammatory properties, soursop is wonderful for decreasing oxidative stress and strengthening the mucus linings of internal organs. This helps to decrease inflammation and reduce the effect of hydrochloric acid in the stomach. Individuals who suffer from digestive disorders, such as Crohn’s Disease, IBS or ulcers may benefit greatly from soursop consumption. It has long been used to treat dysentery. Soursop has anti-helminthic properties which makes it a potent tool for fighting bacteria, parasites and worms. It works in a similar way as many anti-parasitic drugs, though it’s 100 per cent natural. More specifically, soursop has been show to be effective in treating leishmaniasis, a disease that is transmitted to humans from sand fleas. It may also by useful in treating viral and bacterial based infections from the chronic cough, the common cold to herpes. Soursop has shown analgesic, pain relieving properties, especially when consumed in higher amounts (2-3 cups of tea per day or 1-2 cups of fresh fruit per day). It does this because of an ingredient in the fruit that interacts with the nervous system. Its suggested, however, that when consuming soursop in large quantities, it should be measured against the body’s response. Exceeding more than a therapeutic dose may have adverse effects, like nausea, and ALS like symptoms. Pain relief is also a welcome effect from the anti-inflammatory properties that soursop produces. One cup of soursop tea before bed can be a potent all-natural remedy for a restful night’s sleep. Many individuals who suffer from sleep challenges such an insomnia, may benefit from soursop tea. It provides a calming, stress-relieving effect to the body. If you are stressed or anxious, soursop provides a calming relief to the body. This is one major health benefits or soursop. It does this by counteracting the effects of cortisol, a chemical that is released from the body during high states of stress. Soursop’s calming and sedative effects can be of great use to those who who suffer from anxiety. It is known to lower blood pressure as well. And, it doesn’t have any depressive side effects. Studies show that extracts from soursop fruit and leaves may reduce depression. There are three key types of alkaloids in the plant: asimadoline, annonaine, and nornuciferine. These stimulate serotonin receptors. And serotonin is an essential biochemical found in the brain and gut that promotes feeling good. Soursop has anti-microbial properties. So it can be used to cure acute conditions such as sore throat, stuffy nose, or the common cold. Best of all, it can help speed recovery from these ailments. It does this by soothing inflammation and irritation in the throat, as well as, thinning mucus secretions. It also has a high vitamin C content know to boost immunity. Soursop is useful for purifying and cleansing the liver. This is because it is full of soluble fiber, antioxidants, vitamins and phytochemicals. It may detoxify the liver and support immune function. In addition, it’s been shown that soursop returns bilirubin levels to normal levels when they malfunction. This can help reverse and shield the liver from major health issues. This mighty fruit may also counteract the affects of jaundice that can occur from taking certain medications, a result of bilirubin build up. Packed with vitamins, antioxidants, anti-inflammatories, anti-bacterial agents and phytochemicals, soursop is a incredible for strengthening and boosting the immune system. Among the health benefits of soursop is protection against viral infections and may even help the body fight and suppress the HIV virus and herpes viruses. Soursop’s anti-helminthic properties make it a power fruit for fighting ticks and the nervous system issues they cause. It may be useful in treating illnesses such as Lyme disease, though more research is needed to understand it better. Your best body is mainly a result of the foods you consume and the environments you frequent. This makes soursop one of the best preventive health measures to take to ensure you avoid the risk of chronic disease. And if you are currently dealing with a health challenge, the health benefits of soursop may be exactly what you need to get better fast and without any harmful chemical effects.